Tony Pauline: A graduate of St. John’s University in Queens, N.Y., Tony Pauline has been in the NFL Draft business for almost 30 years. His roots began in the 1980s, when Tony began working with New York beat writers and feeding them draft-related information. From there he had extended stays with Scout.com and SI.com and has worked with PhiladelphiaEagles.com since 1998. USA Today and SNY television network are also part of his resume, and Tony is a well-known voice on radio stations around the country. His groundbreaking coverage of major scouting events such as the Senior Bowl and NFL Combined changed the game for all major networks. 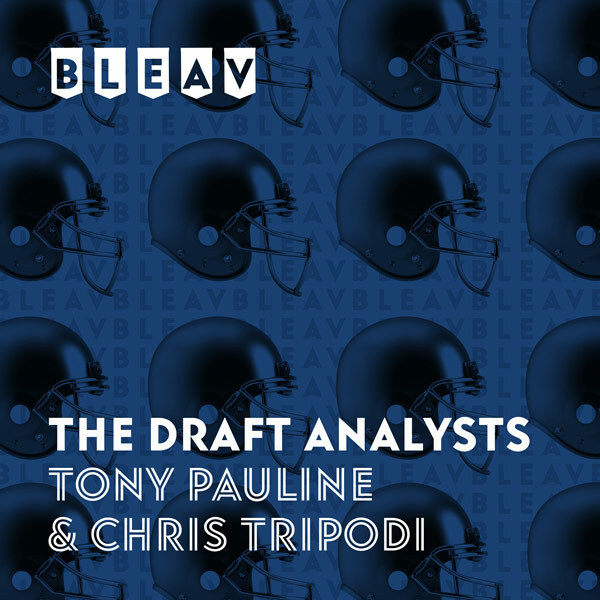 Chris Tripodi: A New York City resident, Chris Tripodi has been in the NFL Draft business since he graduated college over a decade ago and has worked alongside NFL Draft guru Tony Pauline for much of that time. Chris currently writes for DraftAnalyst.com and serves as the site’s editor, previously wrote weekly rookie reports at DraftInsider.net and has written about his hometown New York Jets for multiple sites, focusing on game-by-game rookie breakdowns. In addition to his NFL Draft coverage, Chris also writes about baseball prospects and covers the Minor Leagues for MiLB.com. Bleav in Tony and Chris when it comes to all things draft.